Facing charges for financial crime will be a daunting and worrying time. However, here at Ashmans Solicitors, we will provide you with the best defence possible. We are here for you to turn to if you are based in Yorkshire and to-date we have helped a number of clients throughout 2014 who were facing financial crime related accusations. We will start the process off with you by finding out everything we can about your case and your individual circumstances. From there we will be able to work out the best defence and throughout the entire process we will always keep you fully informed with your options. With us you aren’t just a case number, we provide an individual, person focused legal service.  Whenever you have any questions all you have to do is contact your appointed solicitor who will be there to help you as we know that being left in the dark or uncertainty can make a stressful situation even worse. To discuss your case in detail, please call our experienced solicitors on 0333 009 6275. We will be more than happy to help. Make us your first choice for financial crime solicitors in Yorkshire.